One of the five boys sent to prison in Kangoku Gakuen. He's obsessed with The Three Kingdoms and is the smartest of the five. 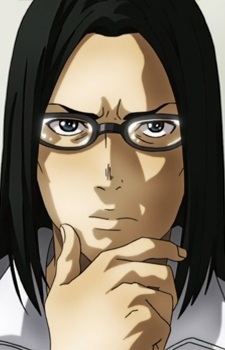 During the escape plan arc, he defecated his pants while in computer class, thus ruining his reputation with the girls. He and Kiyoshi were also believed to be lovers for a large portion of the "escape" arc due to a series of misunderstandings. He was originally shown with past shoulder-length hair, but in episode four of the anime (chapter 21 of the manga) he gets his head shaven as punishment for pulling down the skirt of the student council's president. Though, later, it was found out he did this on purpose for a wig that Kiyoshi will later wear to escape the prison.